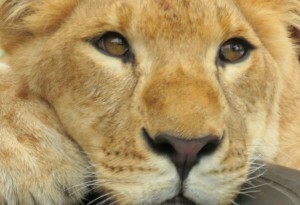 Help Fly Rescued Lions to Freedom! In late 2015, 33 lions were rescued from illegal circuses in Latin America, where they were severely neglected and abused. These amazing cat Kings and Queens were starving, and in bad health. With special care and attention, they’re all recovering, but now need a home. There are no sanctuaries in Latin America and these lions belong in Africa. That’s why were helping transport all 33 rescued lions to the Emoya Big Cat Sanctuary in South Africa – where they can roam free and live in peace – and for the first time, feel the sun on their backs and grass beneath their feet. You can help. Just $14.50 will cover 10 miles of their trip – and closer to freedom!